The Marche are a region of mountains and sea, with stunning and varied landscapes. There are beautiful beaches such as Marotta di Fano and evocative natural landscapes, not to mention the many towns and cities that are definitely a must. Hotel Ambassador can be the ideal starting point for day excursions to discover the historical and artistic heritage of our country. We propose here below some tours that will help you discover and enjoy the Marche region. 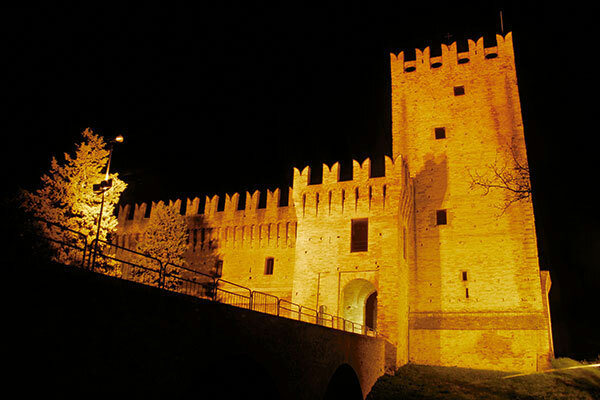 The Marche region is dotted with fortresses and castles, built on top of its rolling green hills. There are many indeed, but we would like to recommend you those that are easier to reach from our seaside hotel. 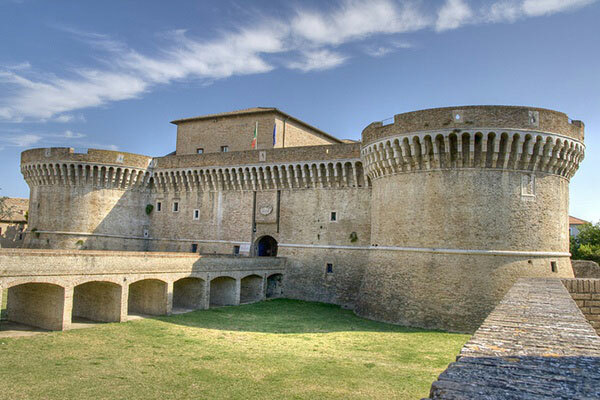 Rocca Roveresca, in Senigallia, 10 km from Hotel Ambassador, this is one of the most visited monuments in the region. It also hosts exhibitions and musical and artistic events. The internal residential area was built on three levels and in the underground you can still see the prison cells. 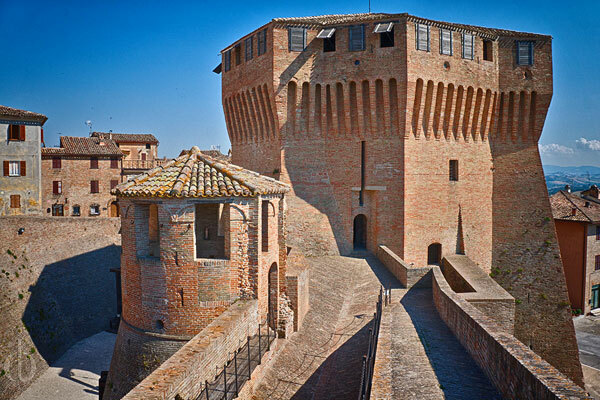 The Rocca di Mondavio is a fortress, located in the province of Pesaro Urbino, 20 km from our hotel in Marotta. A beautiful and typical Renaissance castle. Inside the fortress you can visit the weapons museum, the ancient prison, the ammunition depot and the stables. The fortress of Rocca Priora, in Falconara Marittima, is at 35 km from Marotta di Fano, It was built at the end of the 12th century by the inhabitants of the town of Jesi. You can visit the fortress with its court and gardens. 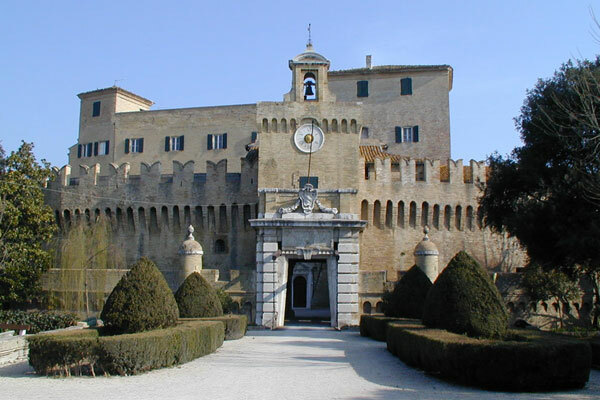 The castle Castello della Rancia, in Tolentino, 120 km from the Marotta seaside where our hotel is located, was built on an ancient cistercian abbey and in 1581 it was turned into a Pilgrims shelter. 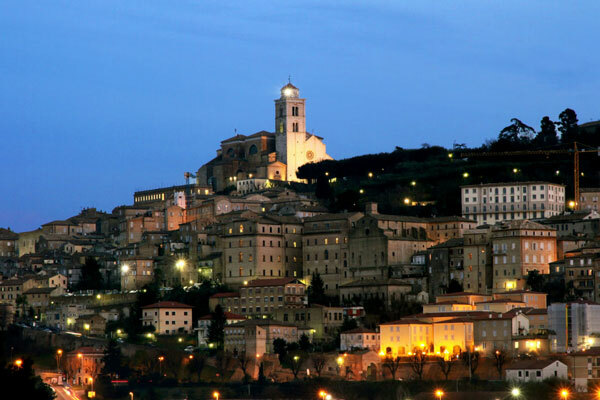 The Marche region boasts a prestigious cultural heritage. The history of peoples and their settlements has left visible signs in the art, archaeology and civil architecture of this region. Our hotel in Marotta is the perfect place to stay and to discover the rich heritage of the area. We suggest that you start your journey through our wonderful land from these 5 historical cities. 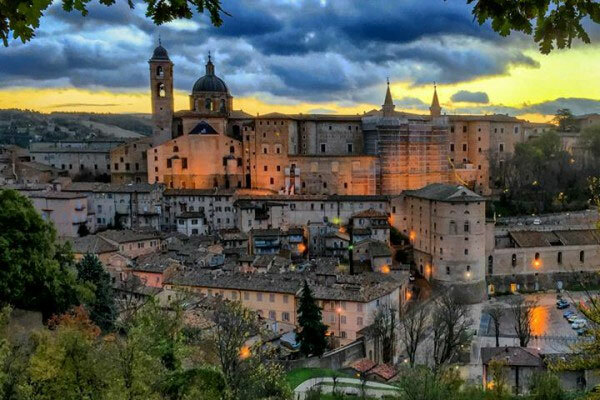 Urbino, 60 km from our seaside hotel in Marotta, is a perfectly preserved Renaissance town. It is considered the jewel of the Montefeltro area, in the province of Pesaro, because it preserves the perfect charm of Italian Renaissance cities. Not to be missed the Palazzo Ducale (Ducal Palace) and the Galleria Nazionale delle Marche (Marche's National Gallery) which houses works by Raphael and Piero Della Francesca. Pesaro, 35 km from Marotta, completely rebuilt on the ruins of the original Roman settlement, is a town rich in history and culture. Among its many important monuments: the Cathedral, the Church of San Giovanni Battista, Rocca Costanza, the Ducal Palace and the Teatro Rossini. 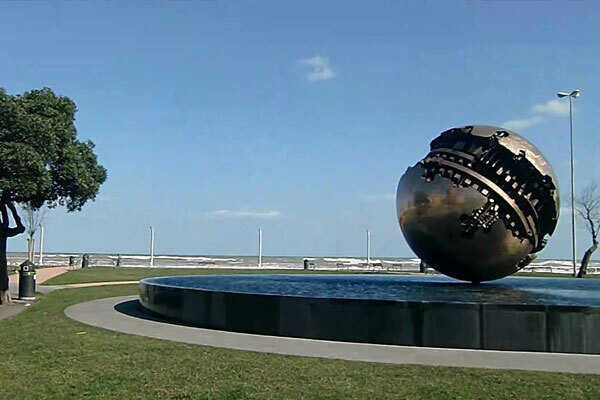 Ancona, the region capital city, is at 45 km from Hotel Ambassador. It boasts an amazing historical centre with ancient churches, Roman baths and the ancient Roman forum, an imperial amphitheatre and the Duomo, the symbol of the city. Fermo, 100 km from our seaside hotel in Marotta, this medieval town has remained virtually untouched, with an amazing archaeological area of 2,000 square meters dating back to the first century AD Where you can see the Roman cisterns, built by Emperor Augustus. 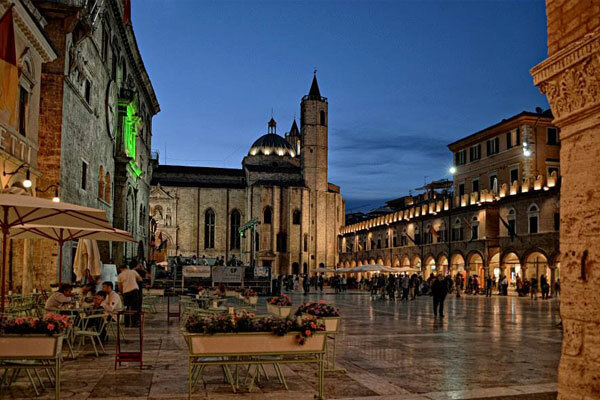 An hour and a half drive from the seafront in Marotta, you can visit Ascoli Piceno, the town of the hundred towers. The symbol of the city is Piazza del Popolo with the Palace of the Captains, the Church of St. Francis and the famous and ancient Caffè Meletti. 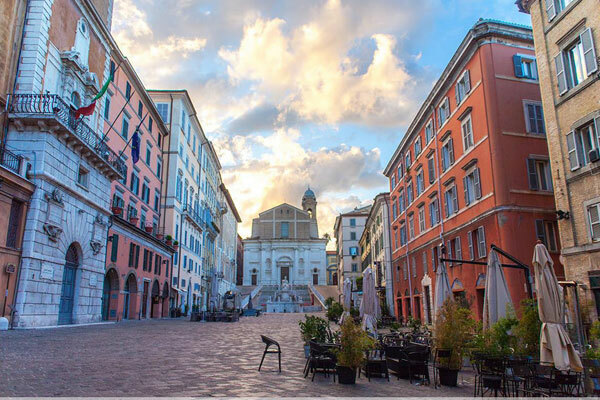 One of the most beautiful squares in Italy. The wines produced in the Marche region, in our sun-kissed hills, have been praised by poets, writers and artists. Here below we are suggesting a historical tasting journey. Our seaside hotel in Marotta, due to its favourable convenient position, allows you to easily reach the best wine cellars of the area. A wine and dine tour of our region must definitely start from the Route of Verdicchio di Matelica, on the border with Umbria. Here, vineyards are grown since the eighth century BC and along the road you will find cities like Fabriano, Jesi and Camerino that offer excellent local cuisine, with its amazing flavours for which Verdicchio is the perfect match. Ancona, Loreto, Numana and Osimo represent, instead, the best production area of Rosso Conero, a red wine that is named after the road that crosses another important wine route, the Rosso Piceno Superiore, which goes from Offida to San Benedetto del Tronto. Along the Lacrima di Morro d'Alba wine route you will enjoy a stunning view of this small fortified medieval town with its majestic walls. The last of our wine routes of the Marche region is the Route of Bianchello del Metauro which runs through the towns of Urbania, Acqualagna, Cagli, Fossombrone. White truffle from Acqualagna, Olive oil from Cartoceto, home-made pasta, white and red wine, Ciauscolo sausage and pecorino sheep cheese, Carpegna ham. these are just a few of the most representative products of the March region cuisine. Marotta and all our territory are well worth a visit, to discover a number of treasures and pleasures for your palate and your heart. 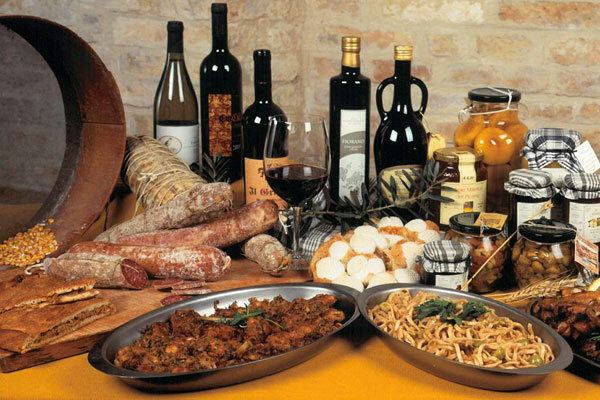 In the Marche region you can enjoy feasts and celebrations all the year round. Our seaside hotel in Marotta is ideal for your summer holidays to enjoy the golden beaches and clear sea but it is also perfect any time of the year, as a starting point from where you can reach trade fairs and national events. The Truffle Fair of Acqualagna, 35 minutes by car from Marotta, is the most important event in central Italy for white truffle lovers: it takes place on three weekends in October and November and, for black truffle, in February. The Witches' Feast in Corinaldo, 20 km from Marotta, is a much loved show that has been on for almost 20 years. Lovers of ghosts and haunted places gather here coming from the whole region to celebrate this autumn carnival that takes place in the beautiful old town. In the narrow alleys you will find yourself surrounded by evocative atmospheres and creepy characters: ogres and witches that serve food and local wine. An event that has turned the town of Corinaldo into the Italian capital of Halloween . From October 29 to 31. The "Sprevengoli" night at Ostra, mid October. The "sprevengoli", according to the local tradition, are funny nocturnal pixies that disturb people's sleep. Ostra celebrates them with a long weekend of fun, entertainment and good food. Not to be missed, the local Christmas markets of the Marche region. Particularly interesting are the markets of Candelara di Pesaro and Apecchio. The Christmas magic revived through the many street artists, songs and stalls with gifts and crafts. From late November to January 8, the Gradara Castle comes to life with events and shows for children and adults, with typical products and local crafts on sale in the streets. A 30-minute drive from the Hotel Ambassador, a true leap into the past. Urbania, a town in the province of Pesaro Urbino, celebrates the National Day of the Epiphany, an agenda full of events, music and performances in honour of the "Befana", a character of the Italian folklore: an old woman who delivers gifts to children on Epiphany Eve, much loved in many local folk traditions. In Fano you can enjoy the most ancient Carnival in Italy after the Venice Carnival. An explosion of colours and masks, at only 15 minutes from our hotel in Marotta. Caterraduno organised from Italian radio station "Radio 2" which includes concerts, shows, meetings and live broadcasting, just a few minutes from our seaside hotel in Marotta. This event usually takes place in the first week of July. Summer Jamboree, an international festival dedicated to the 40's and the 50's with dancing, live music and shows. The Summer Jamboree festival usually takes place between the end of July and the beginning of August. Fiera di Sant'Agostino, the traditional Fiera di Senigallia trade fair with more than 500 exhibitors in streets of the city centre. It takes place at the end of August and marks the end of the summer season. All the year round you will find places where you can taste the delicious traditional food during a number processions and minor festivals. Among many, we recommend that you don't miss the Festival Internazionale del Brodetto e delle Zuppe di Pesce a festival dedicated to fish soup and seafood, organised in the town of Fano in the first week of September.